Our Douro Valley Wine Tours are like flowing through paradise with frequent imbibing of the Nectar of the Gods – with a fine balance of local gastronomy. We consider it the ideal holiday for the wine enthusiast who loves combining good wine & food and travel through stunning scenery. Wines and Tours provide a range of conducted Douro Valley Wine-Tours, combining wine interest and holiday relaxation. 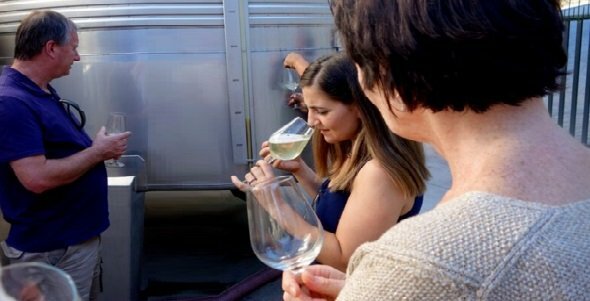 Winery visits and wine tastings, local gastronomy, boat trips, the chance to travel through heavenly landscapes and sight-seeing, are ingredients for all these tours. Highlights include our special “wine-harvest experience day” with the opportunity of treading grapes the traditional way, the option of a sunset sail with dinner on-board & an overnight stay at the world-famous 5* Yeatman Hotel, overlooking Porto. Choose between our 4-day and 6-day wine-tours based mainly in a charming hotel near Lamego. 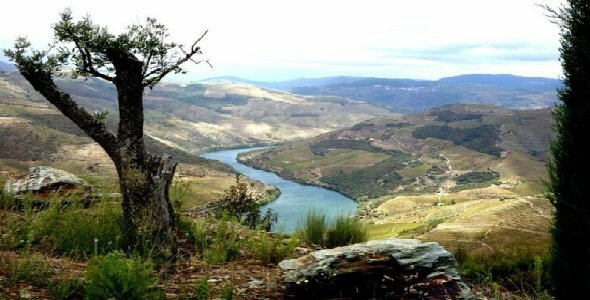 Add our 2-day weekend tour in the heart of the Douro if you wish, or even a further 2-day’s River cruise (from Tua) along the Douro to Barca d’Alva, near the Spanish border, from where you can continue further with us, to our Rioja tour, in North Spain. 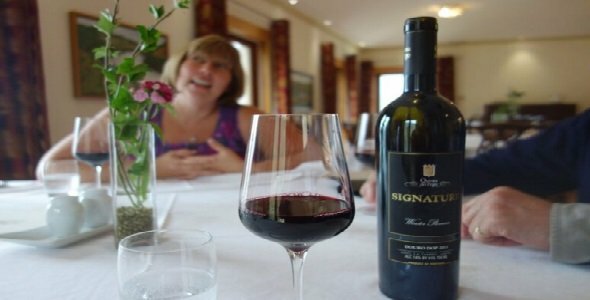 For those who want a short break we have a 4-day tour, but if you’d like to stay longer, enjoying wine tastings and winery visits and generally having a great time, you might prefer the 6-day tour. You can add our 2-day weekend at the end of it. Or you might consider our Douro River cruise that goes further east and very close to the Spanish border! That’s the advantage of our “sequential tour” planning. We give you the chance to make your wine holiday as short or as long as you wish. Just tag on one or more tours, which are in the sequence. Both the 4-day and the 6-day start off at 11:00 on Monday 12th September 2016 with a guided tour of Taylor’s Port Lodge in Vila Nova de Gaia. Taylor’s is one of the oldest Port Houses and still family owned. After the tour we’ll taste some of their Ports and then have lunch in their restaurant with its magnificent vista of Porto. 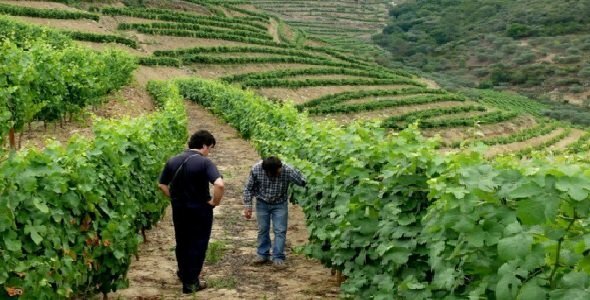 Although, this is mainly a Douro Valley Tour, our first day deviates slightly on the way to our chosen hotel, for you to experience the Vinho Verde region, by visiting a winery and to taste some quality Vinho Verde wines with their own unique style. Our chosen hotel is itself, quite an experience. Each time we go there, it feels as if we are walking into a Hansel and Gretel Fairy Tale. One passes the portals of this old aristocratic domain into a long, really long driveway, bordered either side with overflowing apple trees. Beyond, there are acres and acres of the hotel’s own vineyards – from which the local co-operative produces wine for the hotel. And then – in the hotel itself, all manner of antiques and knick-knacks tastefully decorate every area of the hotel. Through the windows, there are beautiful vistas of vines and other vegetation. Some of the rooms are themed. One of us was once offered an ability to choose a room, built round an old lagar – a vat in which grapes were (and in many places) still are traditionally trod in the Douro Valley. During our tour, we’ll visit many Quintas and taste their wines and of course we’ll also ensure a good balance of relaxation too. We’ll have at least one boat trip on the River Douro. The highlight of the holiday is, perhaps, our special “wine harvest experience day”. Weather permitting, we actually harvest some grapes and later tread them in a lagar. We shall have a tour of the winery, taste their wines and enjoy a lovely lunch of local gastronomy with their wines, to accompany it. Another highlight is an optional extra (€60 pp), of a sunset sail with a gourmet dinner aboard. Places are limited on this and it’s a case of first come, first served. Those who don’t take on the sailing option will have a special meal at a renowned gourmet restaurant. The 4-day tour ends at Pinhão railway station at 12:15 on the Thursday the 15th of September so that you can experience the picturesque train journey back to Porto. Before we leave you at the station, we’ll be taking you for a tour of Quinta de la Rosa, near Pinhão. An extra highlight for the 6-dayers is spending the last night at the plush 5* Yeatman hotel. As such, we shall leave our Douro hotel, near Lamego at around 10am to reach Porto in time for a “six bridges” boat trip along the River Douro, before a light lunch on the quayside. Then it’s a conducted walk through Porto’s ancient City before going on to The Yeatman, with time to relax before our farewell dinner there at 9pm. The pool, spa and other facilities are at your disposal till 12 noon the next day when it is check out time. Of course you might prefer to continue on with us over the weekend tour, in the heart of the Douro Valley. Perhaps even the River Cruise to Spain and maybe our Rioja Tour. However, for both 4 and 6-dayers – there is just one exception – being that one afternoon and evening are kept free for you to visit the delights of the nearby town of Lamego and as such – we do not include dinner* on that evening. This is made up by adding the two-day weekend to the 6-day tour. It starts at 11am at Taylors, Vila Nova de Gaia, on Monday 12th September and ends on the morning of the 19th at Tua. There are 7 nights of accommodation included. This is made up by adding the three-day river cruise to the 8-day tour. It starts at 11am at Taylors, Vila Nova de Gaia on Monday 12th September and ends at Logroño at 8.30 pm on Wednesday 21st September. There are 9 nights of accommodation included. This is made up by adding the five-day river cruise to the 8-day tour. It starts at 11am at Taylors, Vila Nova de Gaia on Monday 12th September and ends during the afternoon of the 23rd September at Pinhao. There are 11 nights of accommodation included.